As Valentine’s Day approaches we thought we would share a few insights into the sentiment behind the gemstones set in jewellery, illustrating that jewellery is given for many reasons to express love, not just for a proposal! Turquoise represents the forget-me-not flower and combined with a bangle which represents eternal love you have the perfect Valentine’s gift. 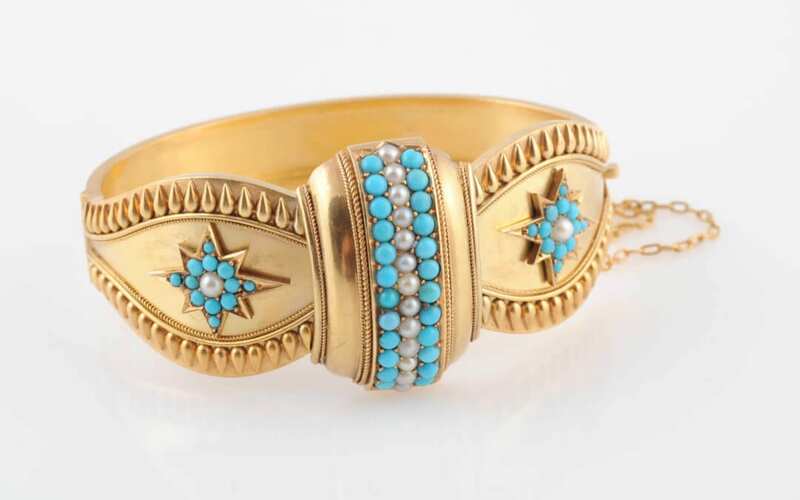 This is illustrated in the beautiful Victorian bangle above. Love and devotion come hand in hand and sapphires are the gemstone to celebrate this sentiment. 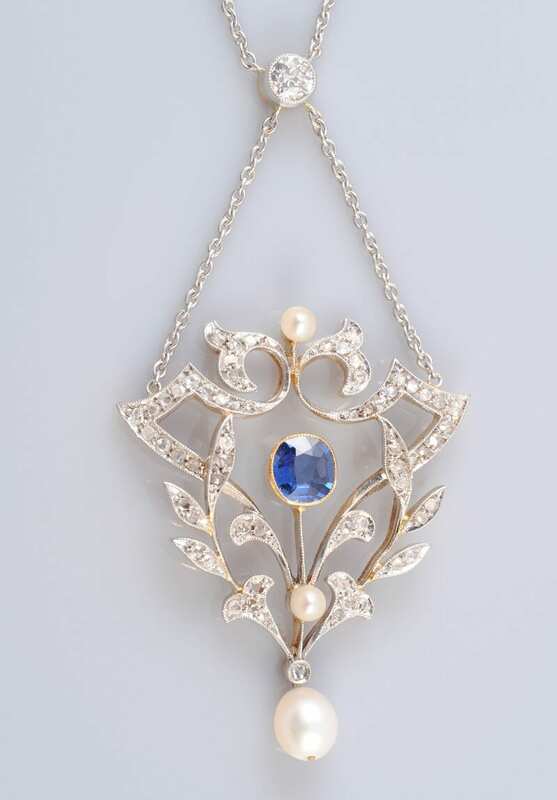 From sapphire set rings to the Edwardian pendant illustrated we can always find you your perfect piece. Hope is symbolised by Emerald, a popular stone during the Victorian period, but perhaps over looked in recent years. This is a beautiful stone and should not be underestimated. 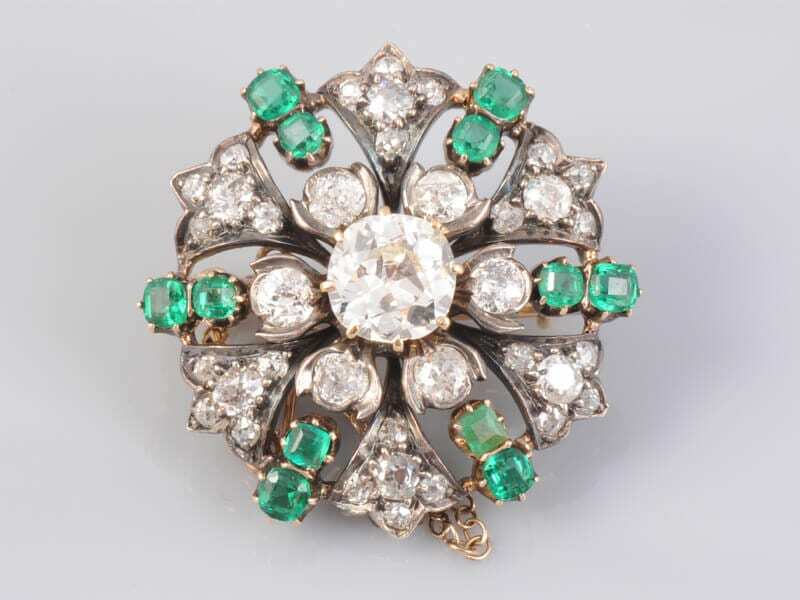 Our mid Victorian brooch is a perfect example of high quality craftsmanship set with exquisite emeralds. Ruby, the stone of passion, from rings to brooches, from simplicity in a single stone to a multi ruby set butterfly in itself representing Psyche, the goddess of love, the ruby never fails to disappoint. 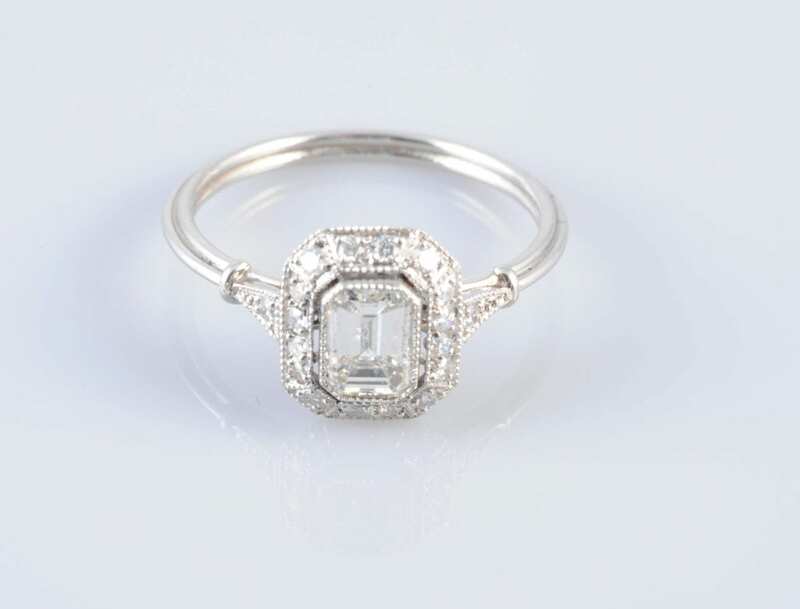 But of course for eternal love – the diamond is the one. From single stone rings, to multi diamond set brooches, necklaces, earrings, bracelets, there really is something for everyone. All the beautiful pieces featured in this blog are available to purchase from The Gallery and feature in the Gallery Collection on this website. Alternatively Susan can source that perfect item of jewellery for any occasion. 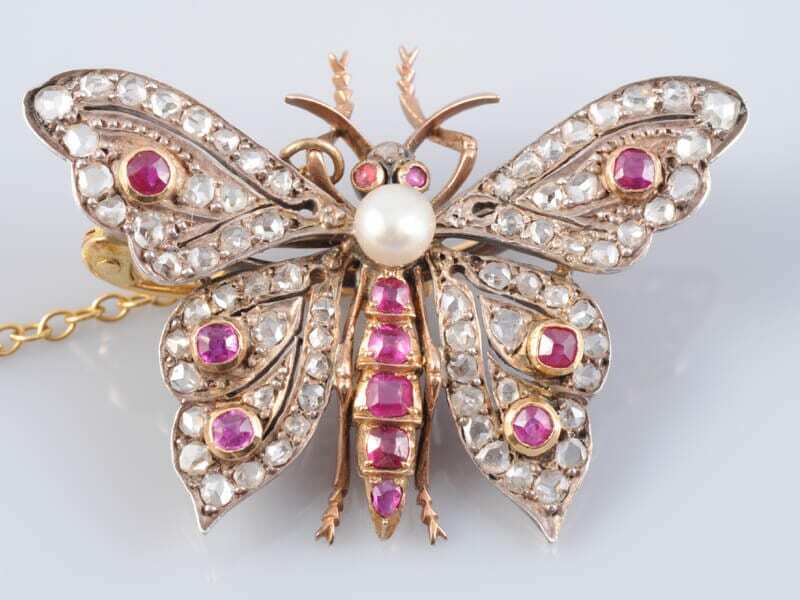 Contact the gallery if you would like more information about collecting or selling jewellery. Follow us on Instagram, Facebook and Twitter or send an email to receive notifications of news and events at The Gallery. Would love to know if you are going to repeat Queen Mary’s Jewellery Lecture anytime soon? Please let me know if you are. Hello Carol, No doubt the Queen Mary Lecture will be a popular request to be repeated at some point as it was VERY popular!